Mortgage fraud is a white collar criminal offense that involves fraud against mortgage lenders. It occurs when facts are misrepresented, such as the value of the home. The bubble created in real estate prices from 2002 to 2008 lead to a drastic increase in mortgage fraud as lenders loosen standards to close deals quickly. The increase in prosecutions continues today. If you are under investigation for committing any form of mortgage fraud, contact an experienced mortgage fraud defense attorney at Goldstein, Goldstein, Hilley & Orr. Our attorneys are familiar with the intricacies of the mortgage business, and we have experience with the mortgage-lending industry and its forms and procedures. We will do whatever is necessary to help build a strong defense in your case. In addition, we use all of the resources possible, including experts to review documents and testify at hearings and trial for the defense. When you face criminal charges your future is on the line, and our attorneys can help. We are experienced in fighting these cases in both state and federal court. 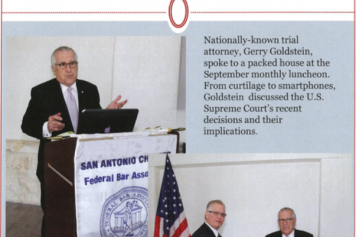 Goldstein, Goldstein, Hilley & Orr is based in San Antonio, and we represent clients throughout Texas. Call (210) 226-1463 for a free phone consultation. Mortgage fraud is one of the most complicated forms of white collar crime. Generally, the offense occurs when someone lies, confuses or intentionally omits information during the mortgage application and approval process. This could apply to both a lender and a borrower. Mortgage fraud prosecutions continue despite increased regulations of the mortgage lending industry. Different types of mortgage fraud include fraudulent foreclosure prevention or loan modification scams. When one of these scams is alleged, the accused person is charged with obtaining money up-front and then not providing any services. In loan modification scams, the homeowner is told to stop making payments on his or her mortgage without having any contact with the mortgage lender. Other types of mortgage fraud include allegations against a borrower as an active participant in the scheme to commit fraud to purchase a home. In these cases, the borrower often is accused of submitting false information about his or her income, employment or assets. Another type of mortgage fraud involves a straw borrower transaction, although tighter lending standards have made these scams less common since 2008. In the straw borrower transaction, the individuals involved will submit false expenses to make money off the transaction by submitting false income statements, appraisals, consulting fees or even repair invoices. When mortgage fraud is discussed, people often associate it with a borrower. However, professionals also can commit a type of mortgage fraud, which is a criminal offense. In these cases, the lender will commit mortgage fraud in an attempt to make a profit. Professional mortgage fraud involves elaborate and complex schemes often used by multiple people, such as accountants, real estate agents, appraisers, mortgage brokers, builders and investment bankers. In these schemes, the main goal is to make money, no matter who is victim to the plan. In the end, the buyer likely would not get a home. Mortgage fraud could be prosecuted on the state or federal level. As with most crimes, the charges are considered more serious when the federal government is involved. The federal government often becomes involved in these types of cases when the alleged crime or crimes occur across state lines or involve federal agencies, including the Federal Housing Administration. The federal government also could become involved if the offense involves mortgage lenders and other federally regulated financial institutions. Most often, the government targets the professionals in these mortgage fraud cases. Penalties for mortgage fraud differ based on various factors. The offense typically is charged as a felony. However, misdemeanor charges are possible in cases where only a small amount of money is involved, usually less than about $1,000. If the offense is charged as a state felony, depending on the degree, a conviction could mean years in prison. As a federal offense, it could mean up to 30 years in prison. If the offense is a misdemeanor, you could face up to one year in jail. Additionally, a conviction could mean thousands of dollars in fines. The fines usually are steep, especially when lender fraud is involved. A conviction for a single count of a federal mortgage fraud can result in a fine of up to $1 million. A conviction also could mean paying restitution to the victims who were defrauded. Mortgage fraud and real estate fraud charges are extremely serious whether prosecuted in state or federal courts. 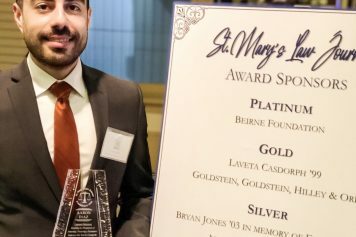 While prosecutors use every tactic available to inflate the intended loss in federal mortgage fraud cases, the criminal defense attorneys at Goldstein, Goldstein, Hilley & Orr have the experience to effectively challenge the valuations and minimize the intended loss, thus reducing the potential consequences that a client might face. We aggressively fight these cases to protect our clients at each step of the investigation and prosecution. Call us at (210) 226-1463.